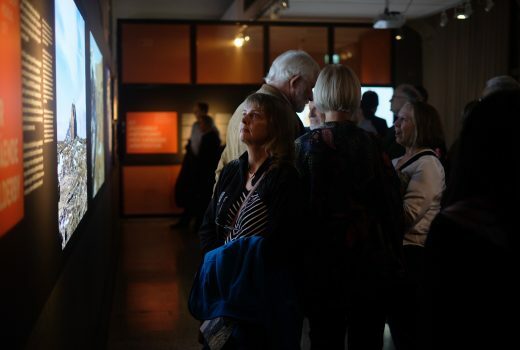 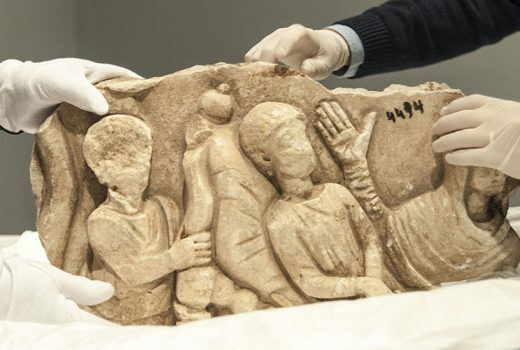 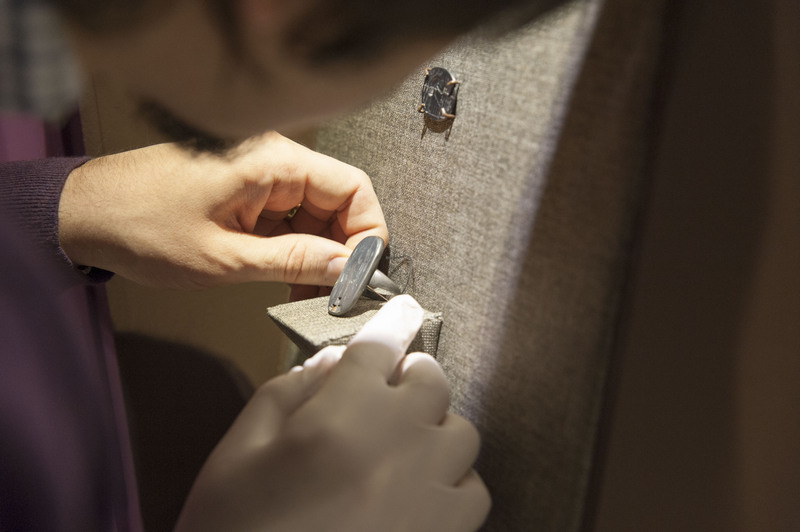 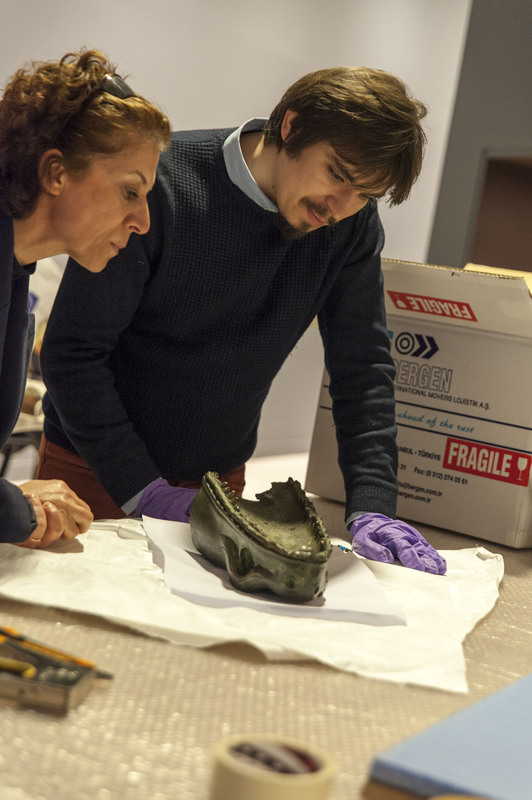 Ani: The Forgotten City on the Silk Route Exhibition is at Kulturhistorisk Museum, Oslo! 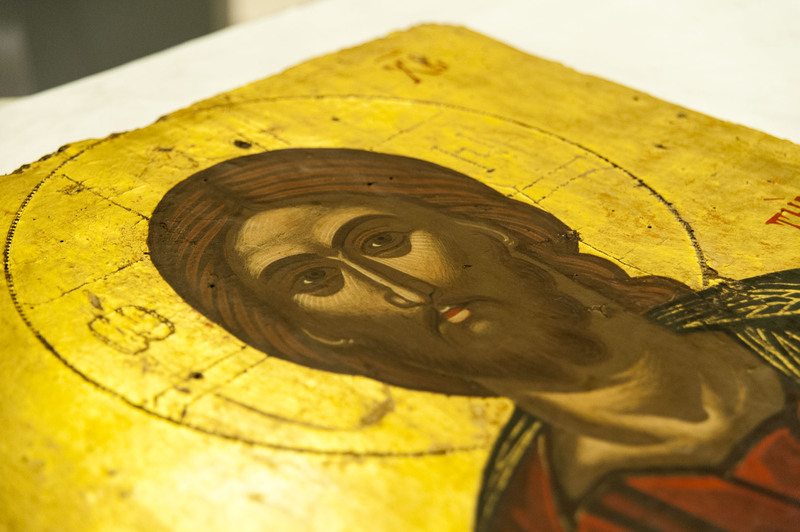 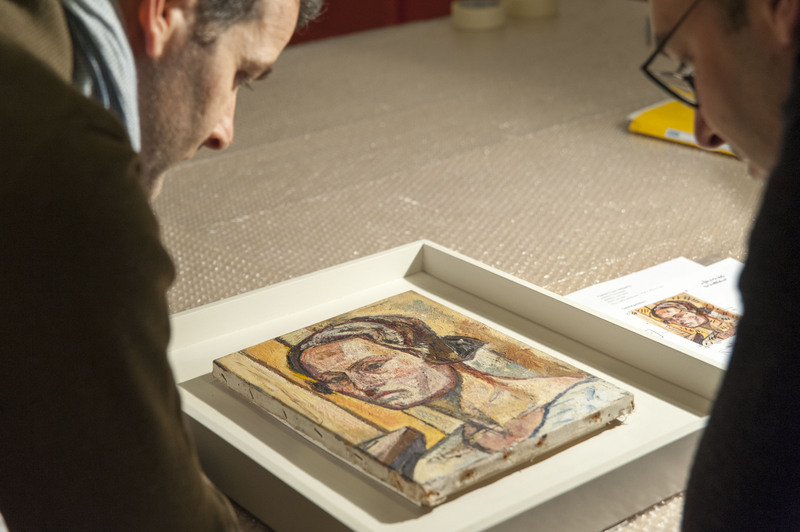 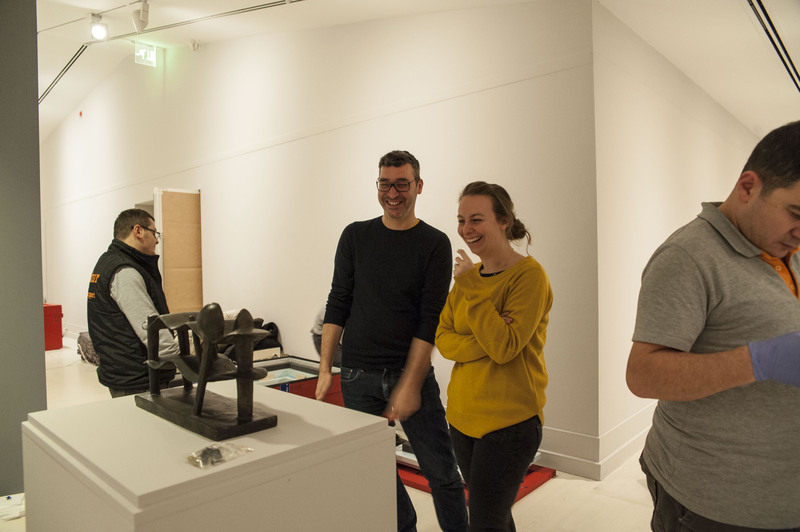 The exhibition can be visited until 6 January 2019! 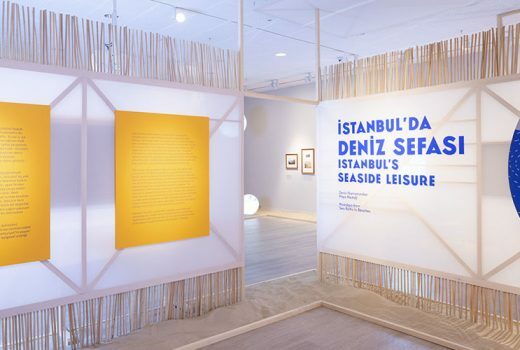 Istanbul’s Seaside Leisure Exhibition is open at Pera Museum! 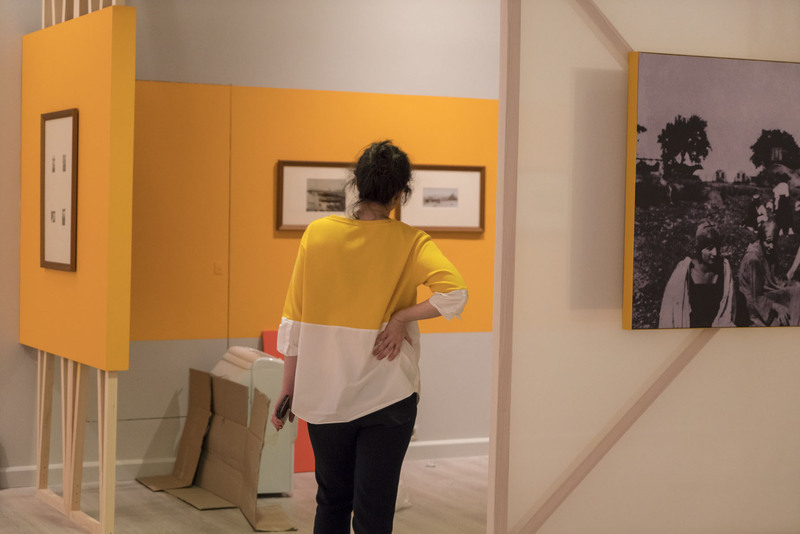 The exhibition can be visited between 05 April – 26 August 2018! 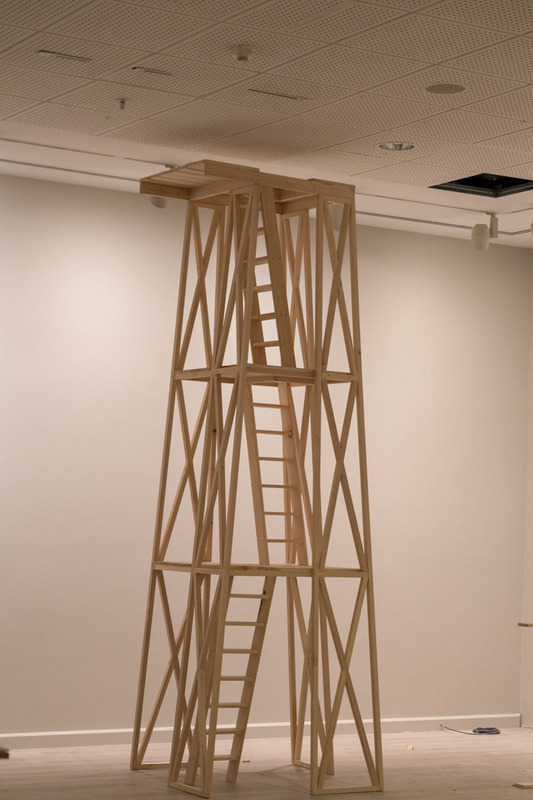 Ivan Jones’ Architects Project Exhibition is at Jerwood Gallery! 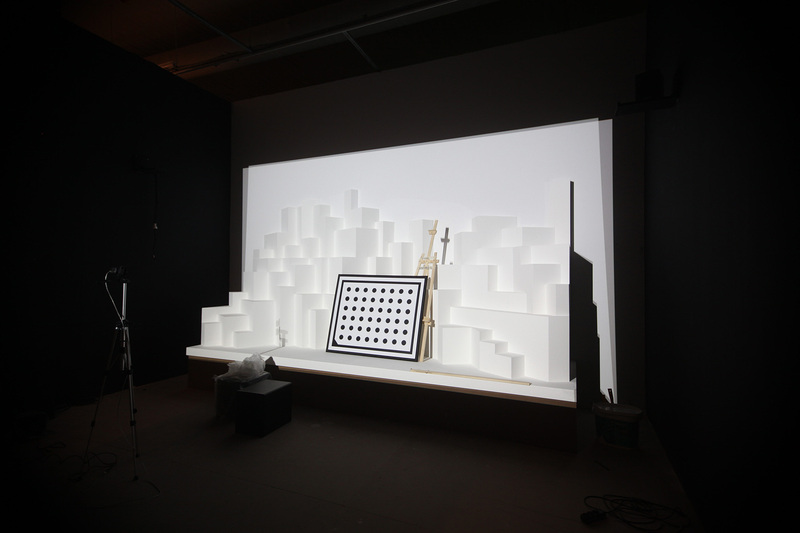 It was a pleasure to collaborate with Ivan Jones on his ‘Architects’ project. 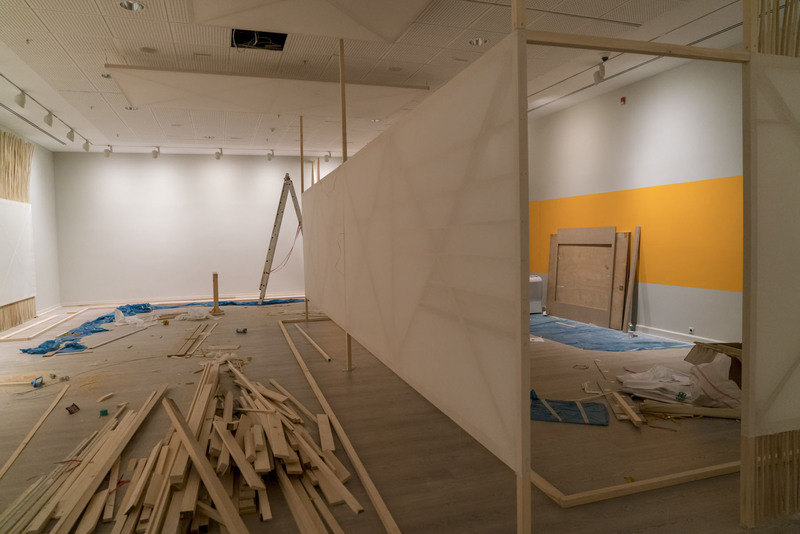 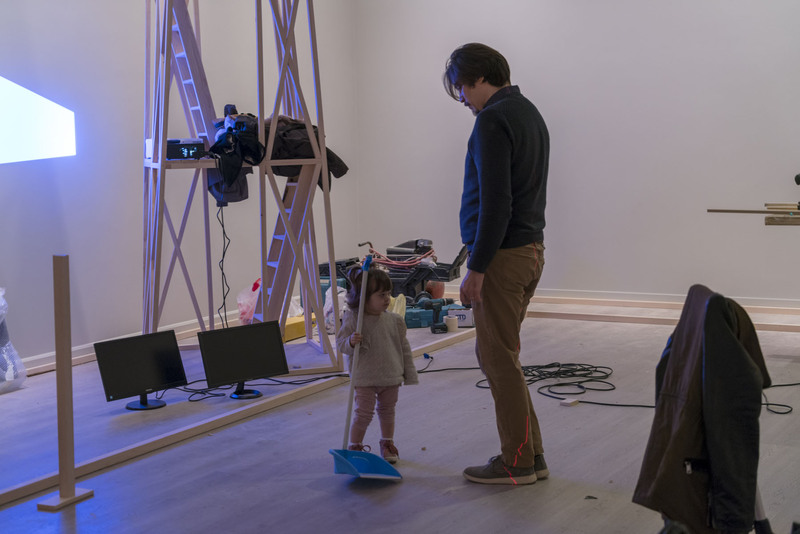 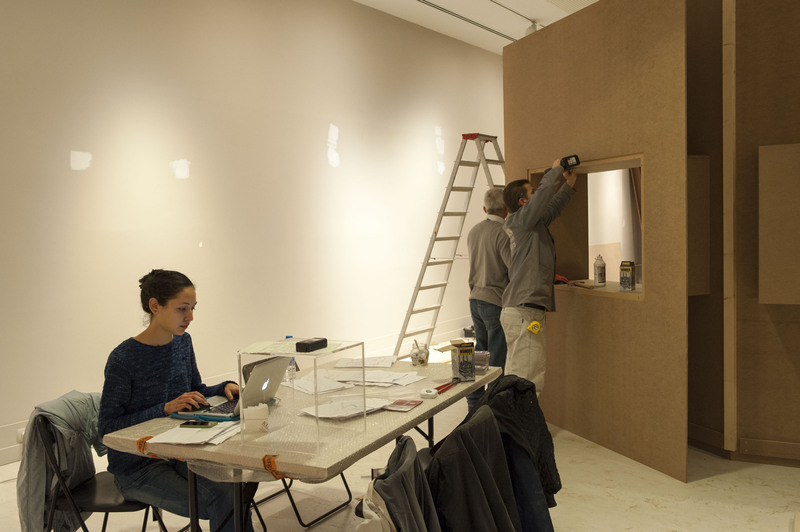 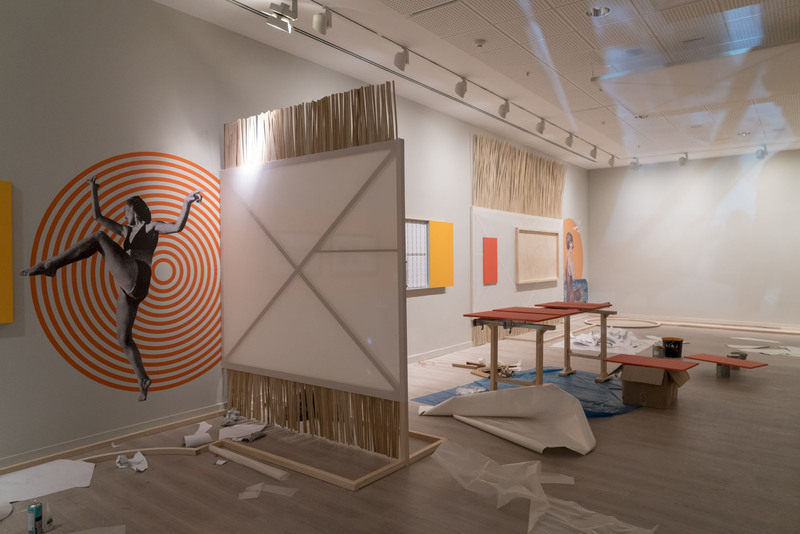 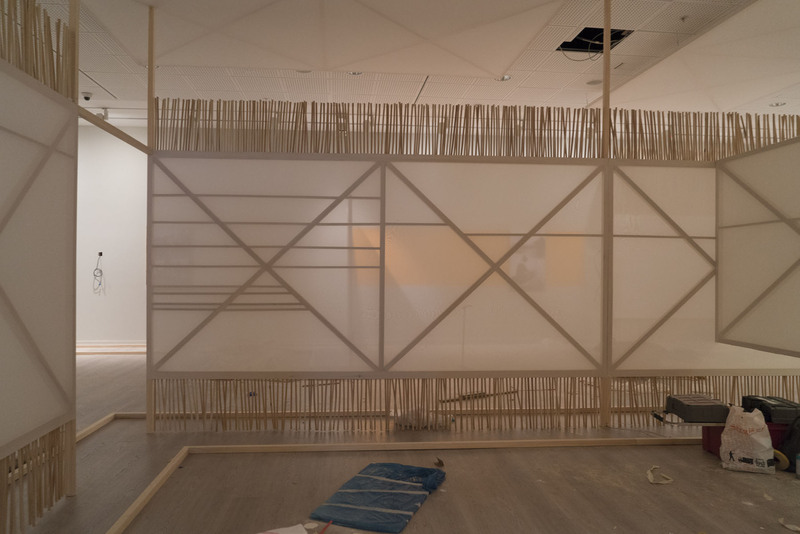 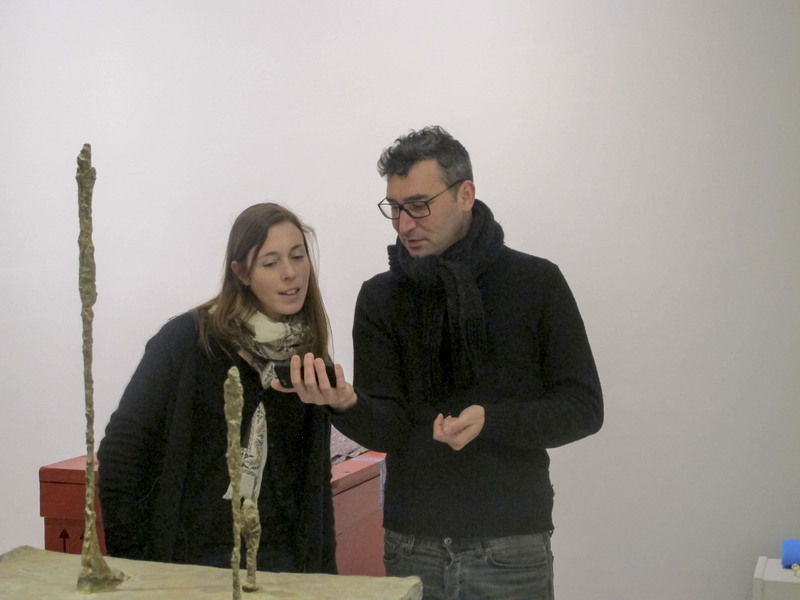 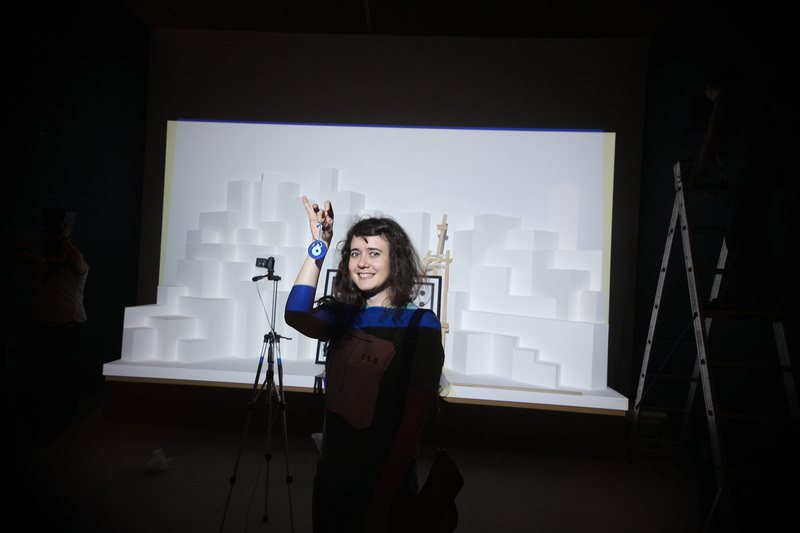 The photo was taken during the construction of ‘All That is Solid’ installation and will be exhibited until june 2018 in Jerwood Galley, London. 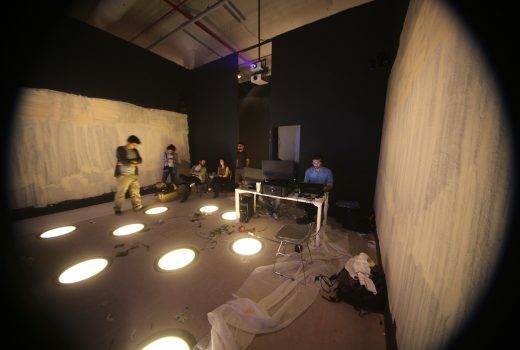 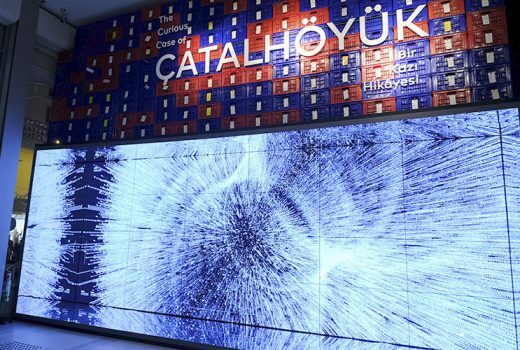 It was exciting to collaborate with Refik Anadol to develop a media installation by using Çatalhöyük Research Project’s archive of 2.8 million data records of 250,000 finds by empolying machine learning algorithms. 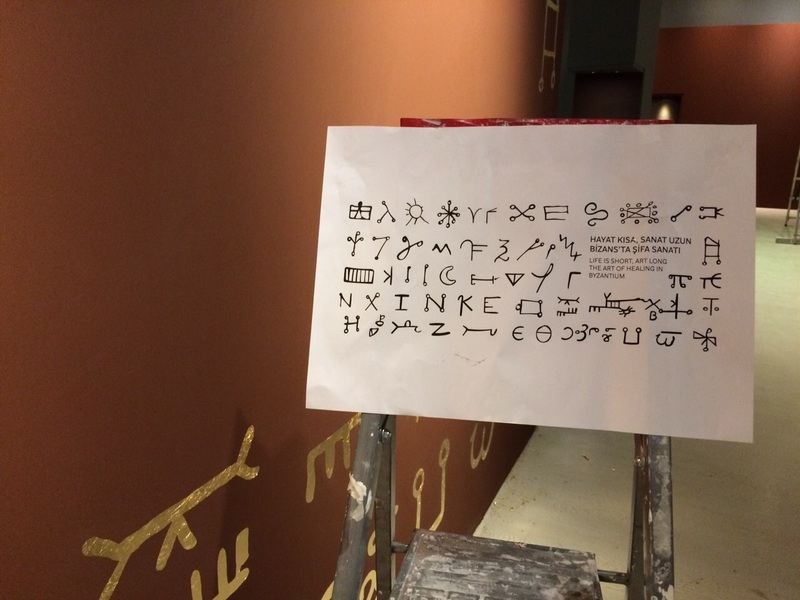 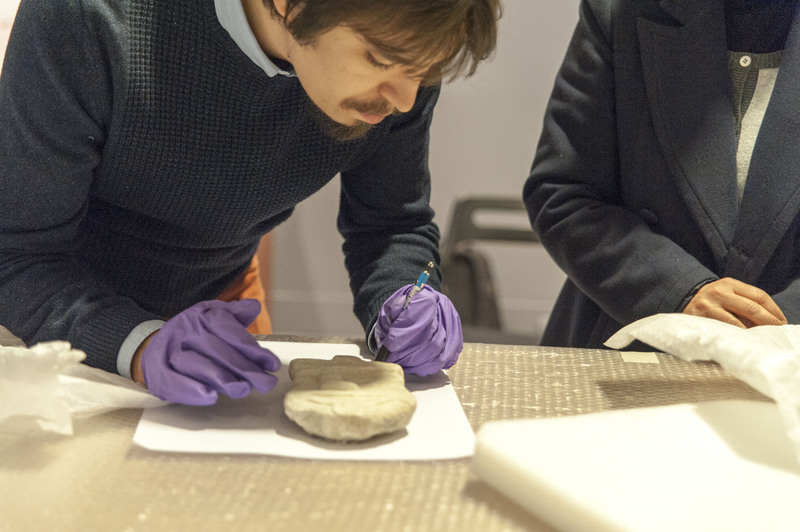 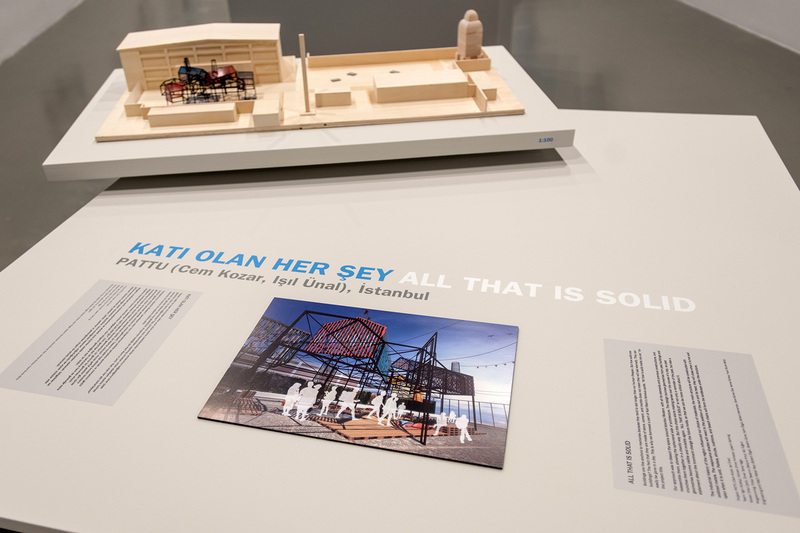 Curious Case of Çatalhöyük Exhibition is at Anamed! 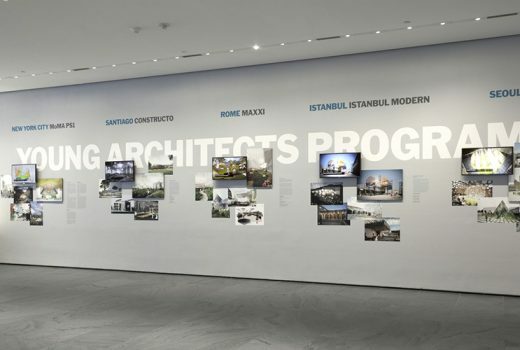 The exhibition can be seen between 21 Jun 2017 – 18 Feb 2018 at ANAMED. 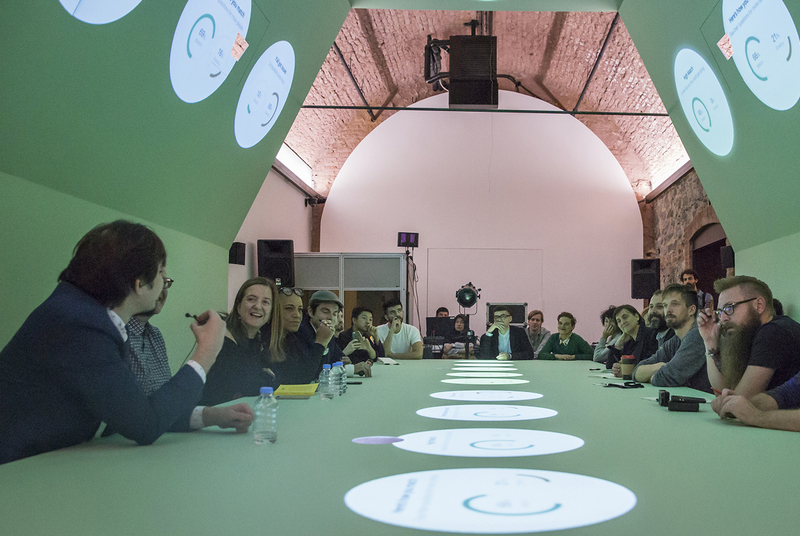 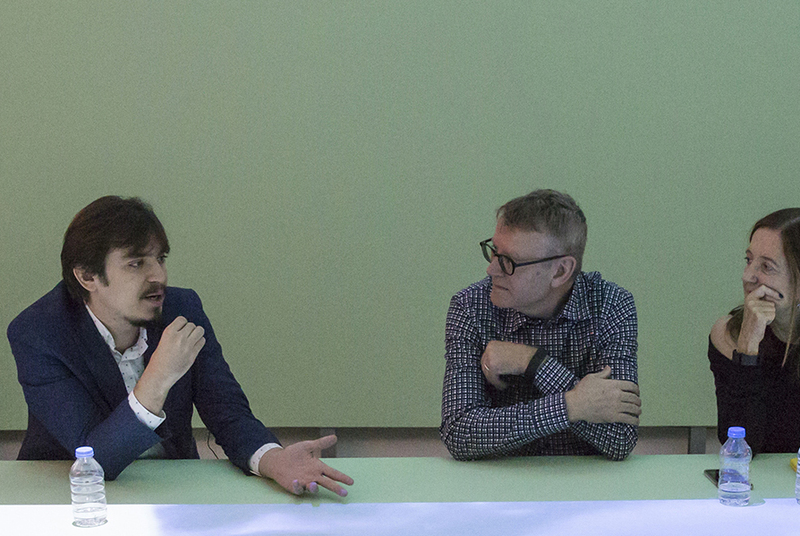 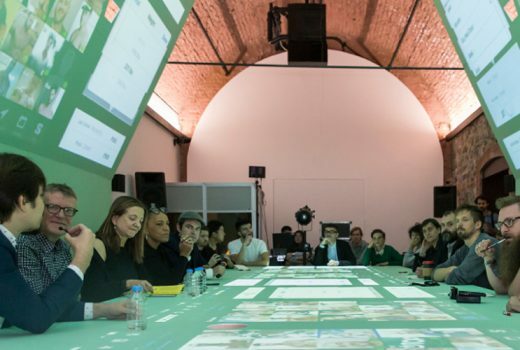 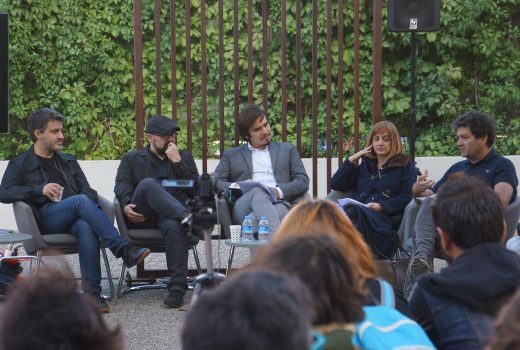 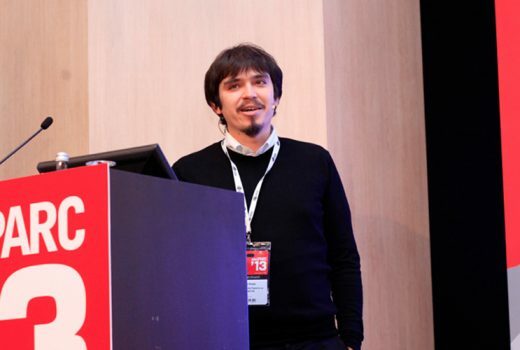 Cem was invited to ‘Designing Time ‘ panel discussion in 3rd Istanbul Design Biennial. 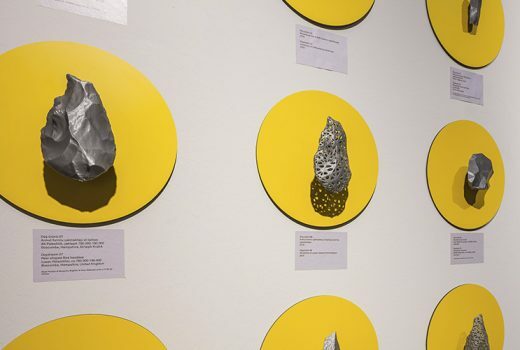 From the smart phones we use to the buildings we inhabit, from the clothes we wear to the languages we speak, they all are results of externalized thoughts, and we can trace them all back to the daydreams of our ancestors and the Acheulean hand axe. 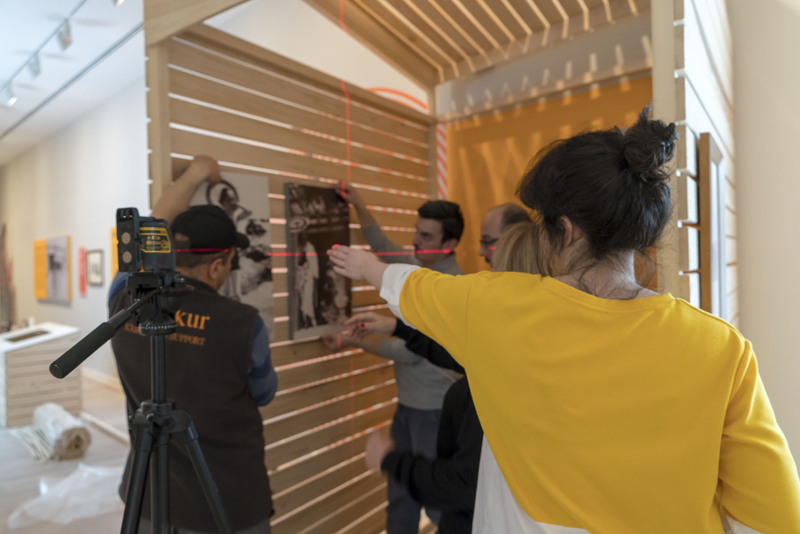 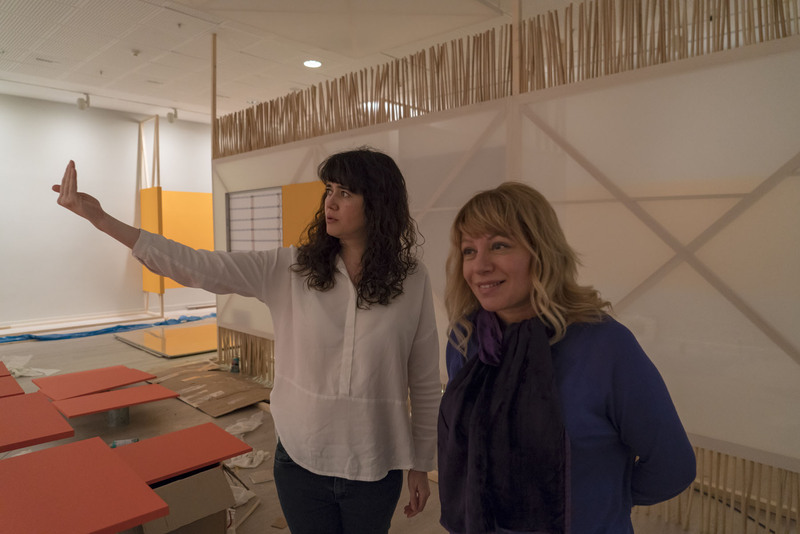 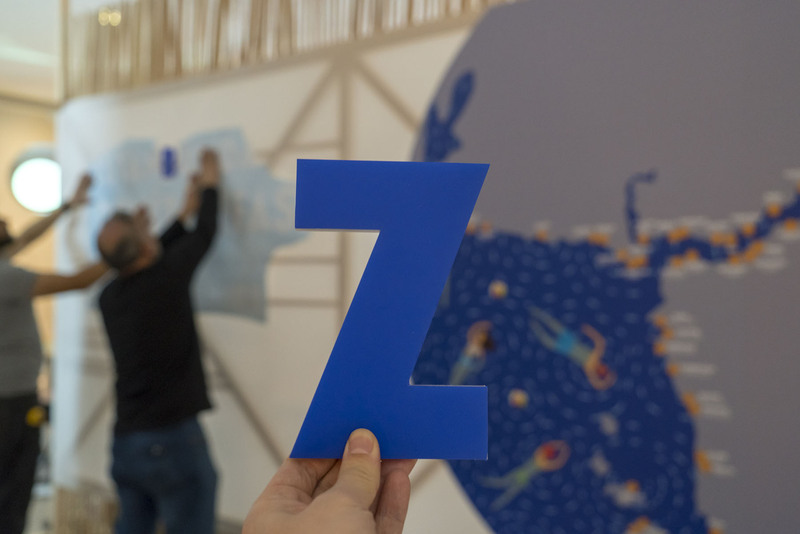 We were invited by Mark Wigley and Beatriz Colomina, the curators of 3rd Istanbul Design Biennial to design an installation referring to the biennial’s topic ‘Are We Human?’. 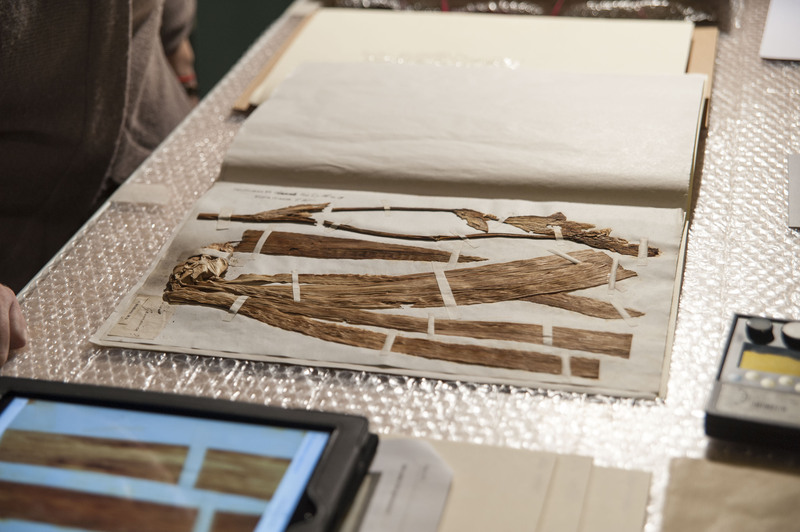 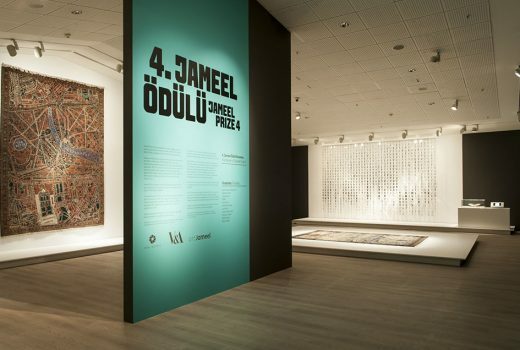 We are happy to collaborate with Victoria and Albert Museum and Pera Museum in Jameel Prize 4 exhibition. 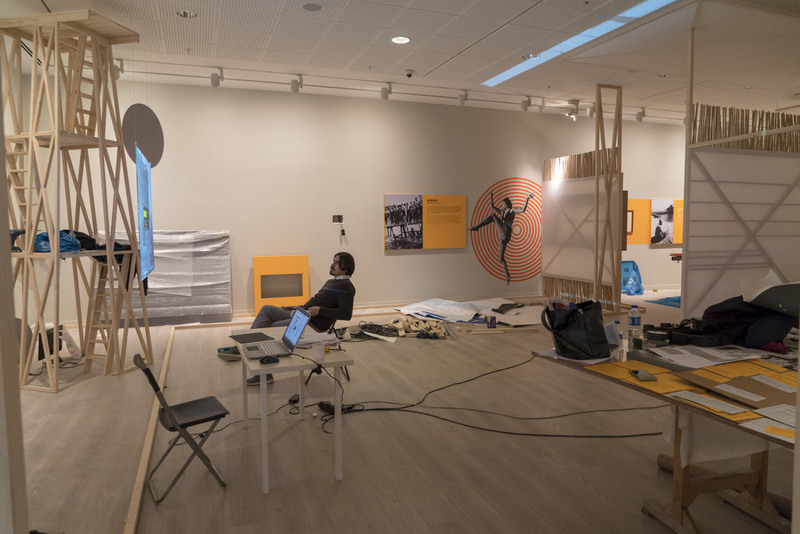 It was a pleasure to design an installation about the tendencies in the public spaces in Istanbul as a part of the exhibition Istanbul: Joy, Passion, Fury. 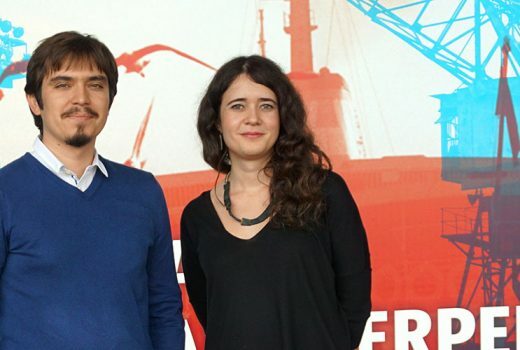 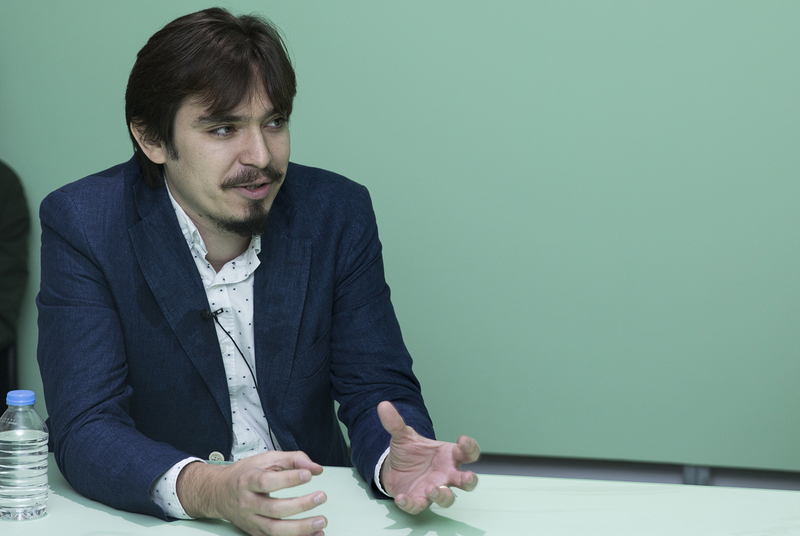 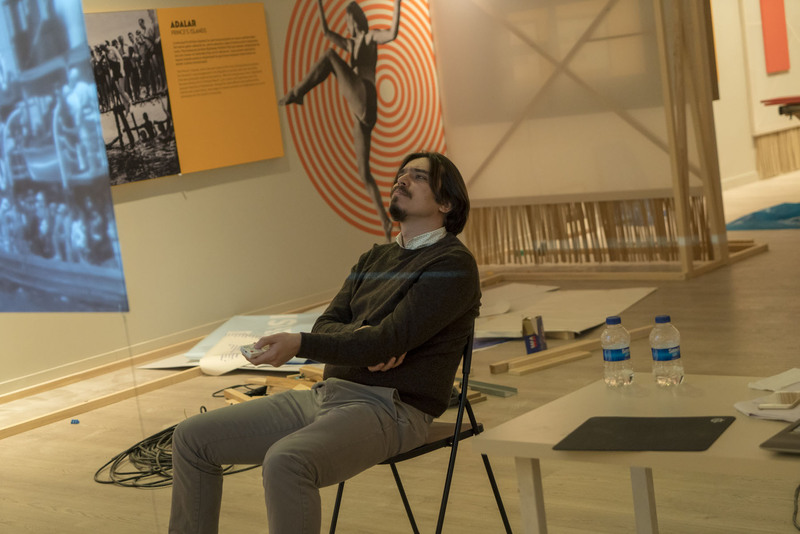 We were invited by Murat Tabanlıoğlu, the curator of the exhibition Port City Talks, to design an installation about the history of the port of Galata. 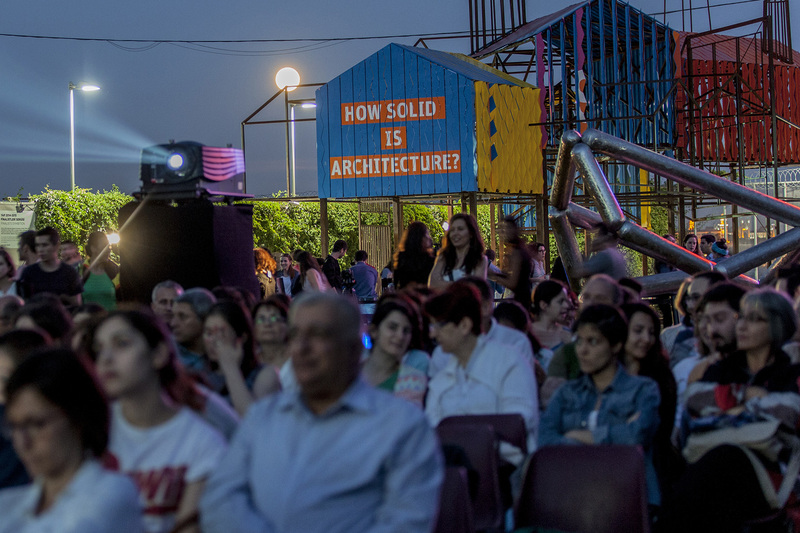 Moderated by PATTU within the scope of ‘All That is Solid’, the marathon comprises presentations and conversations on memory by participants from the arts, social sciences, architecture and science&technology. 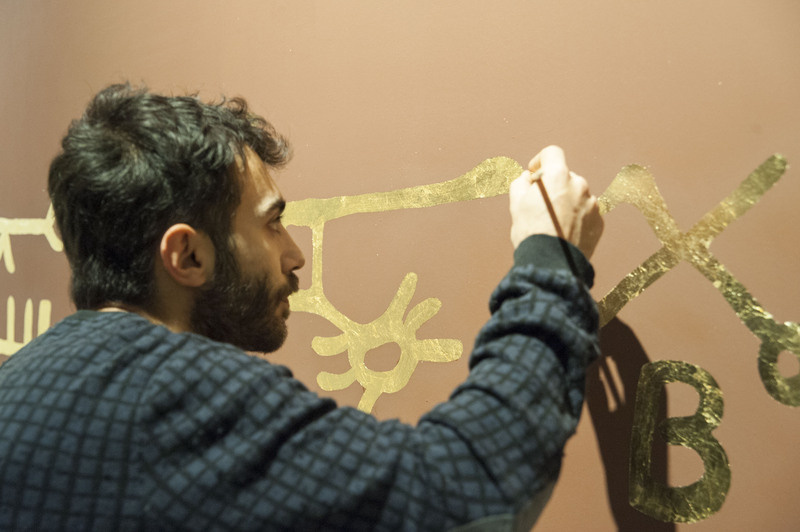 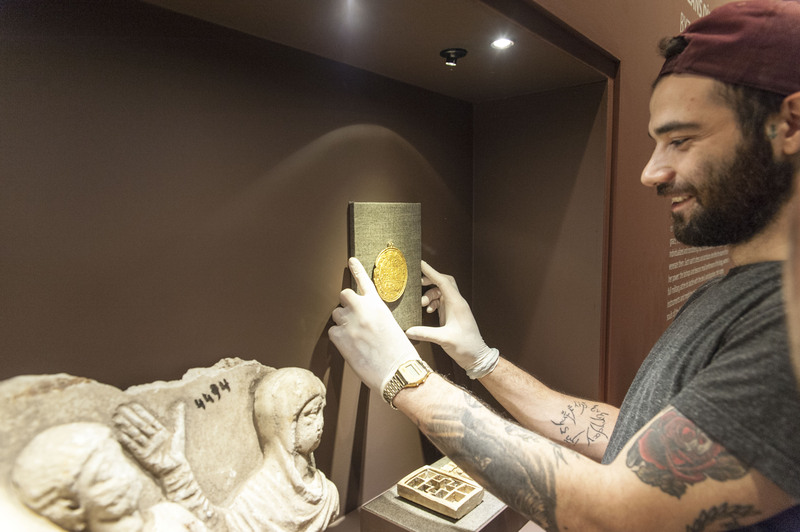 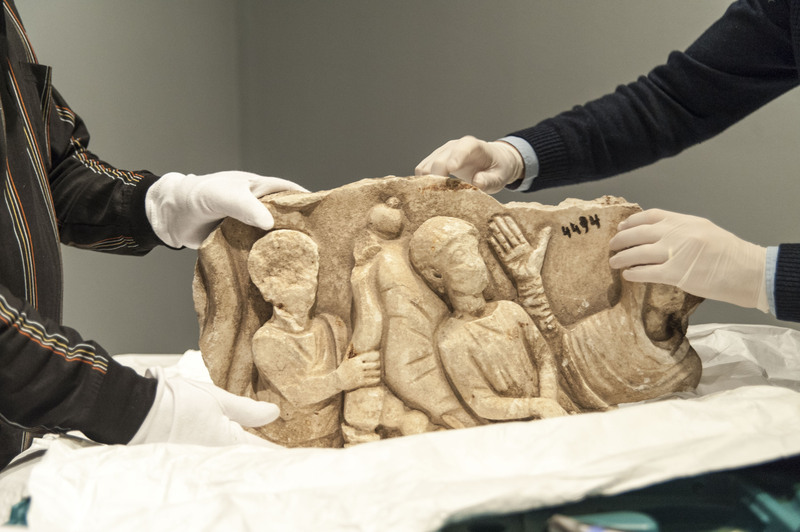 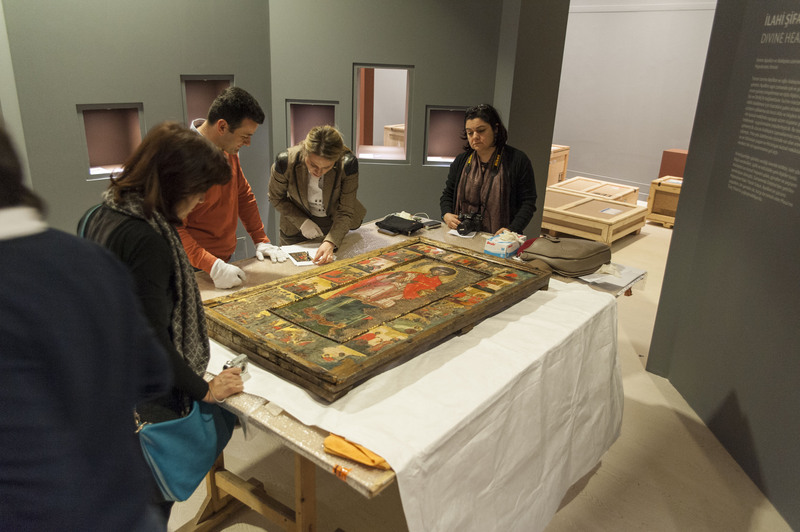 Cem is invited to the ‘Communicating the Museum 2015’ workshop at Istanbul Archaeological Museums. 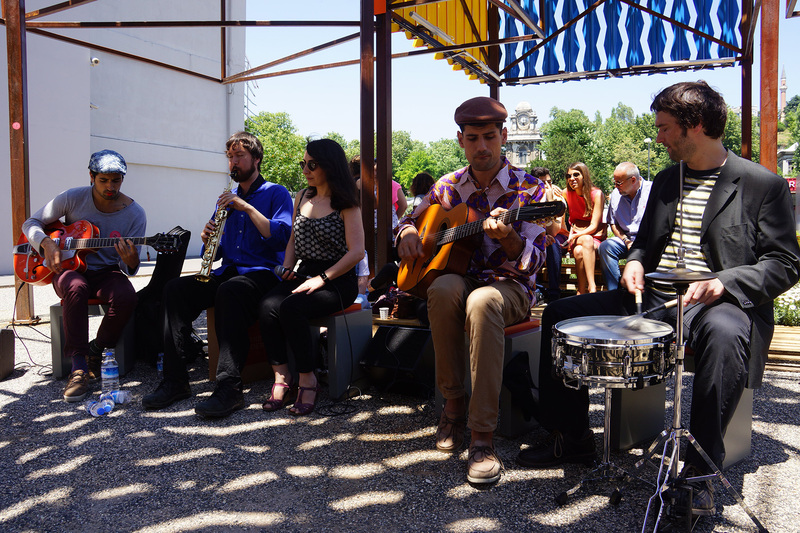 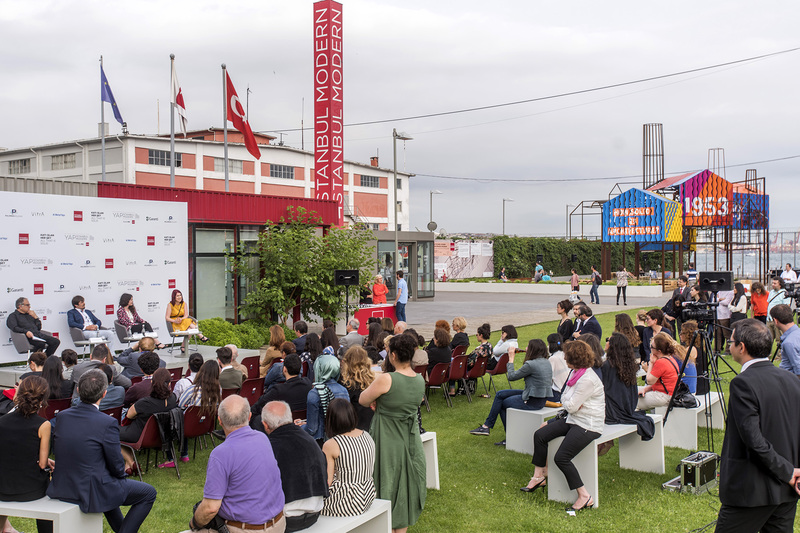 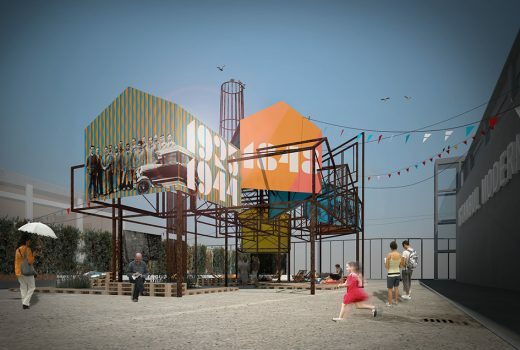 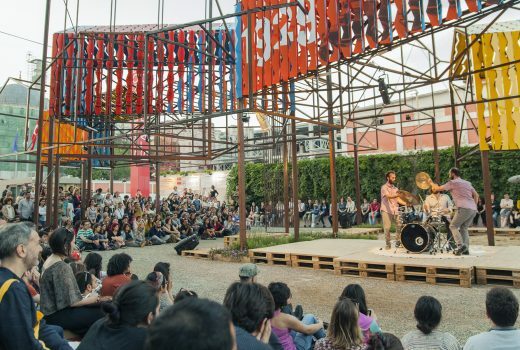 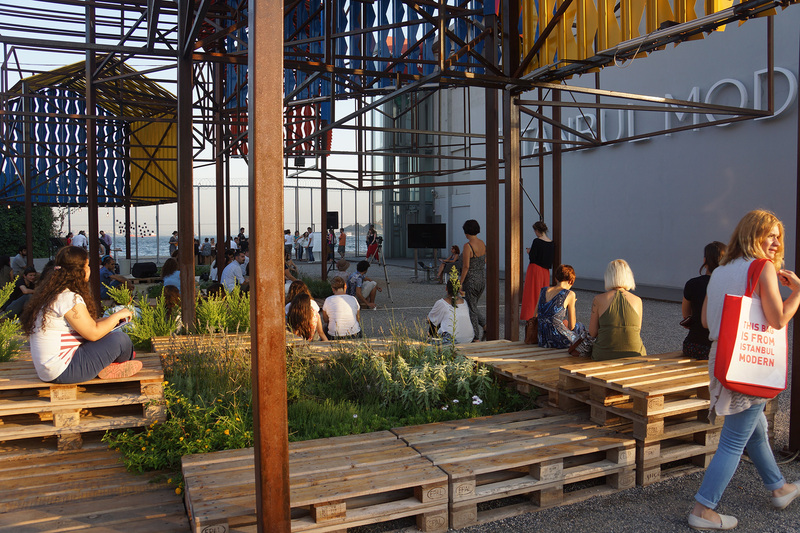 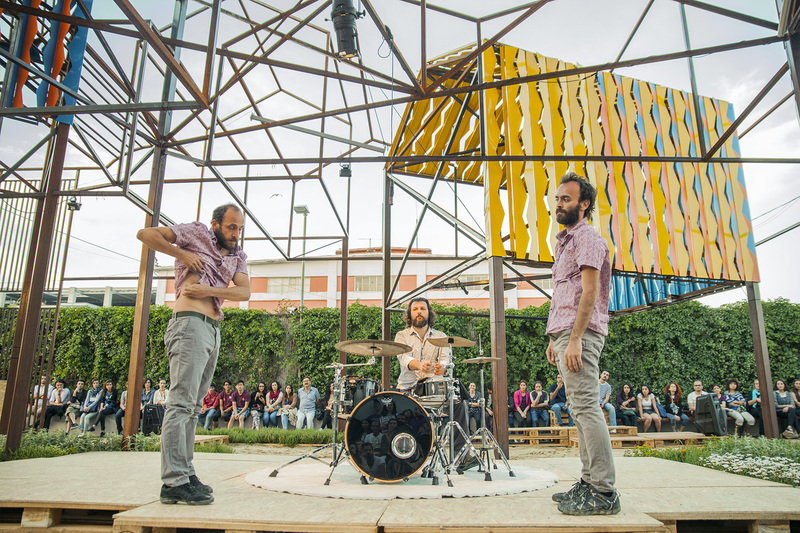 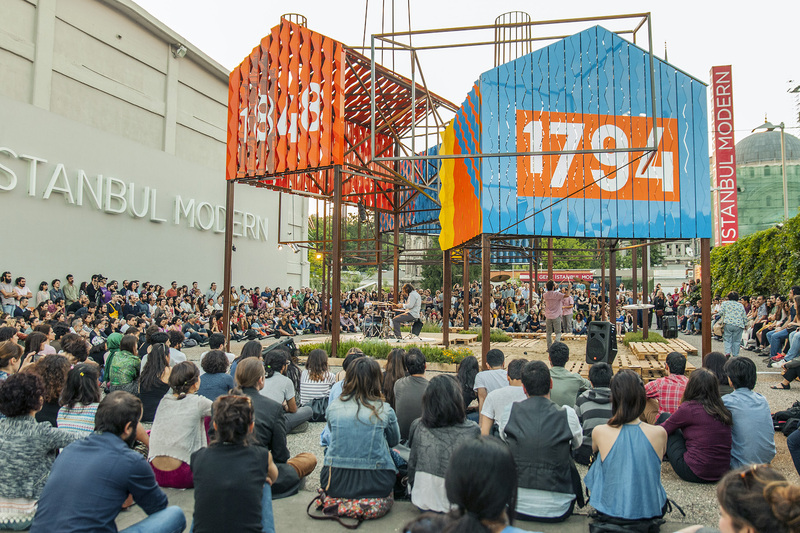 All that is Solid hosts cultural events at Istanbul Modern’s Garden! 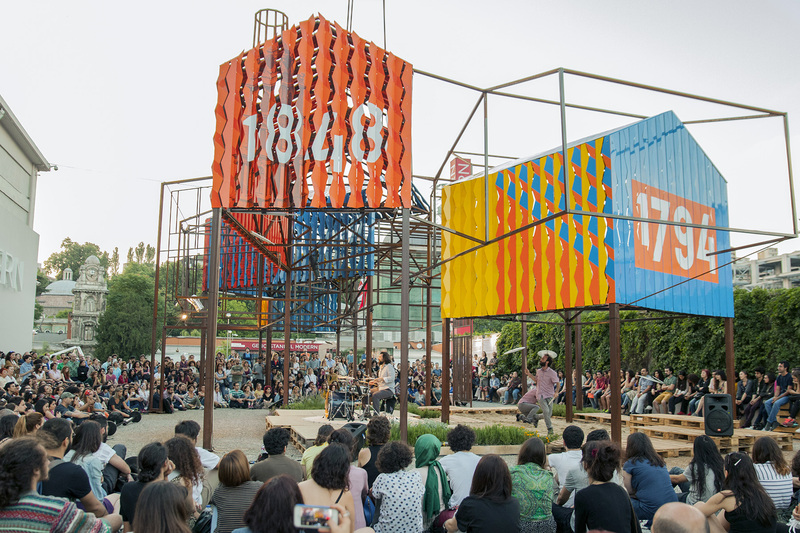 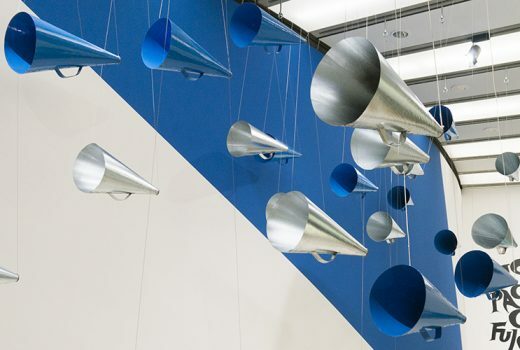 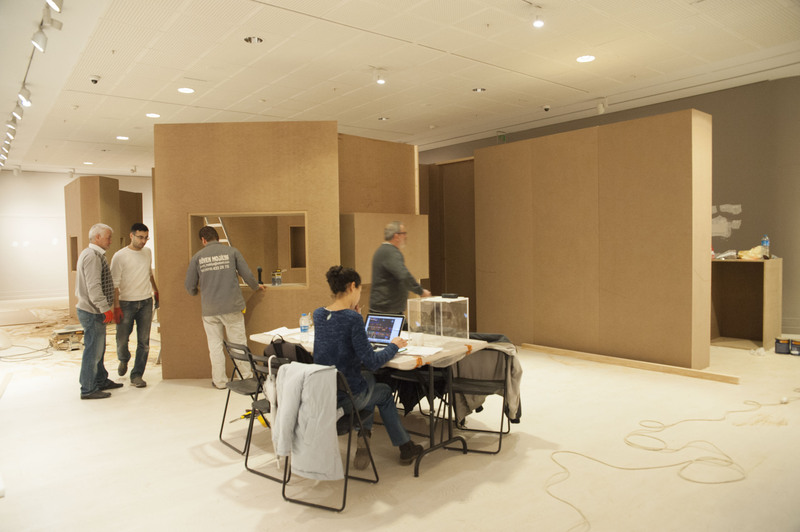 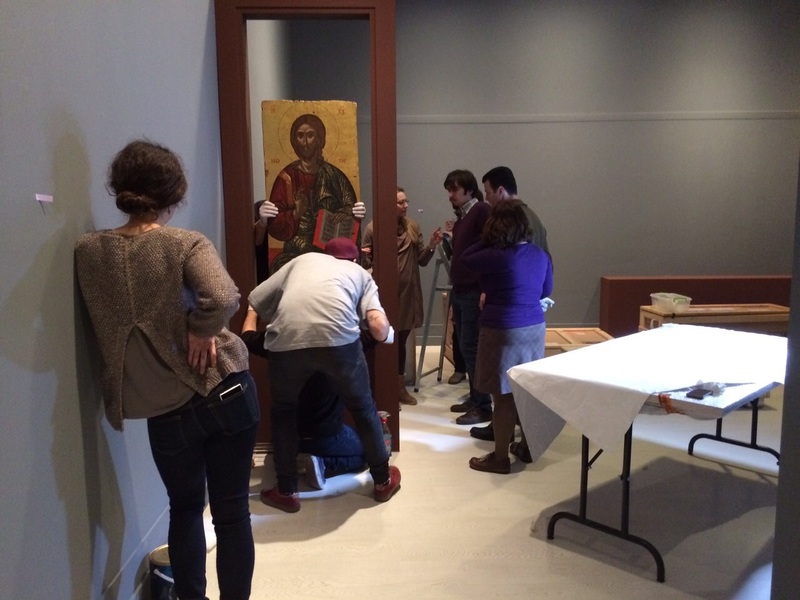 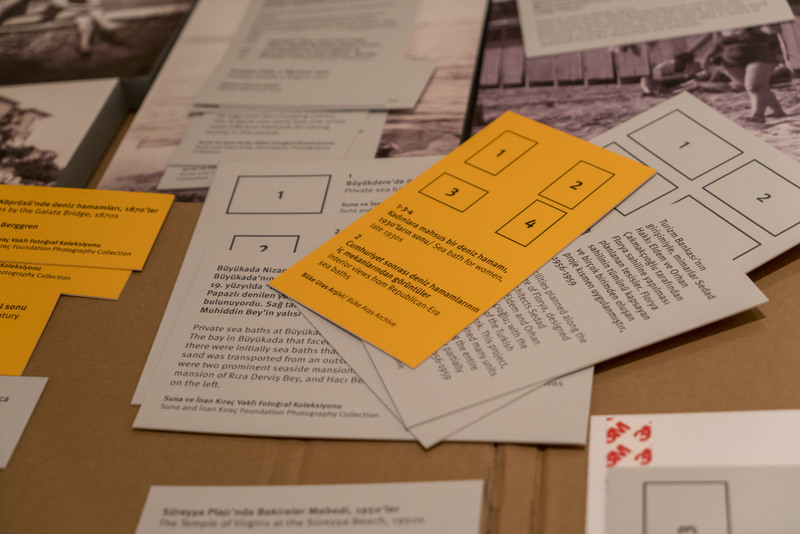 Between 9 June-15 November 2015 the installation hosted many panels, theatres, concerts. 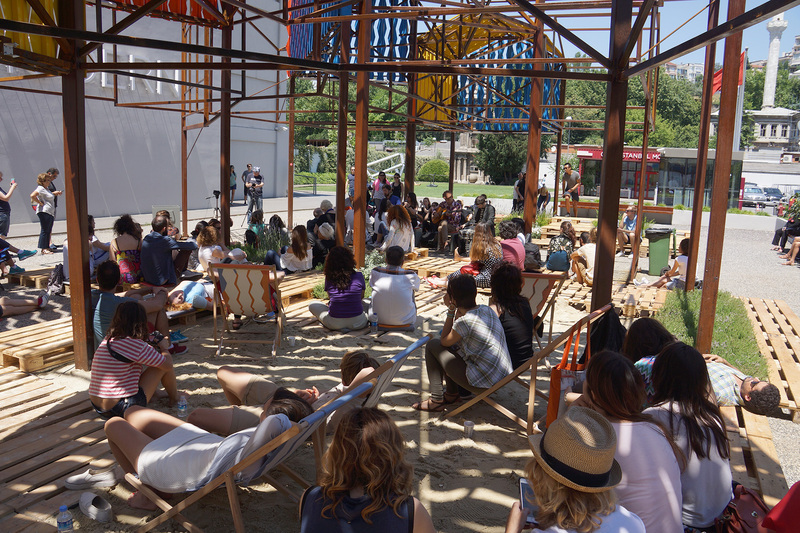 Thanks to everyone who are involved in the events and share this experience throughout the summer. 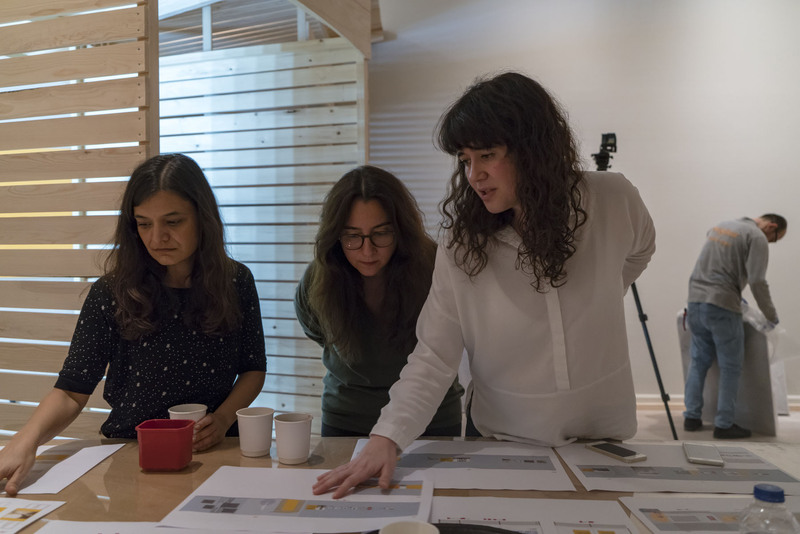 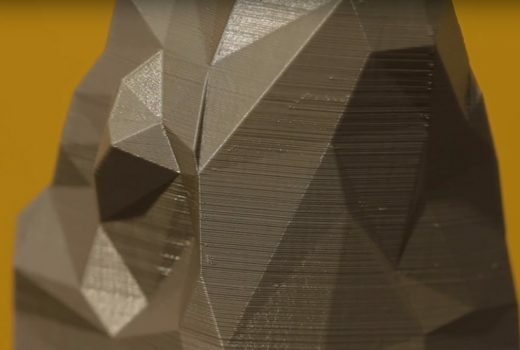 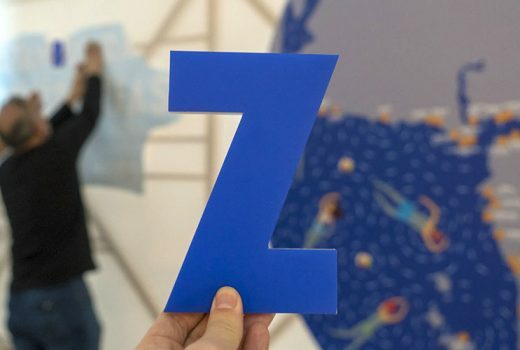 We are interviewed by VBenzeri Blog about our office and the project ”All That is Solid”. 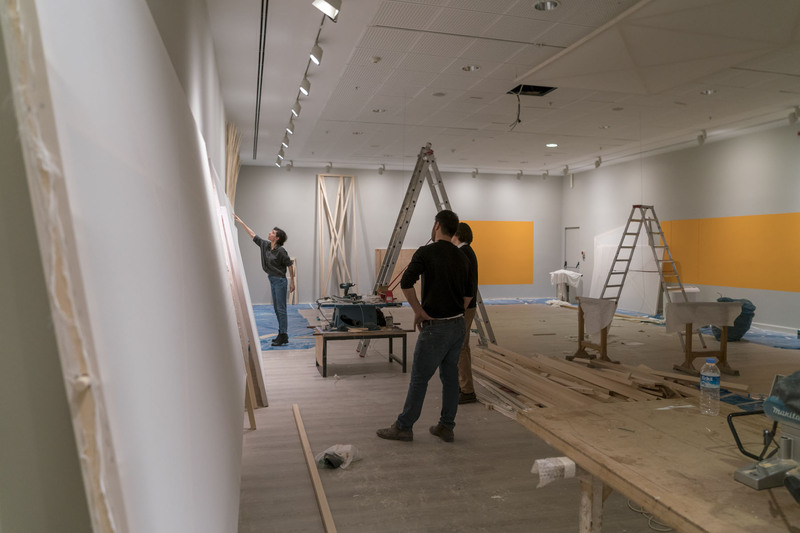 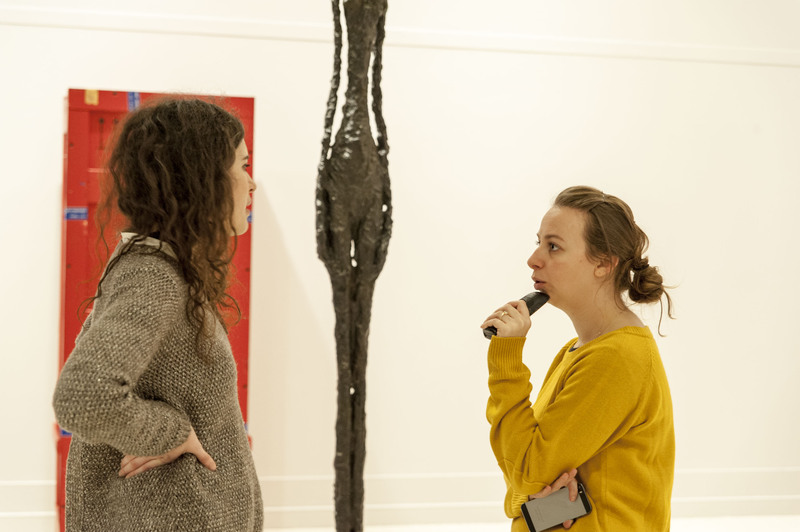 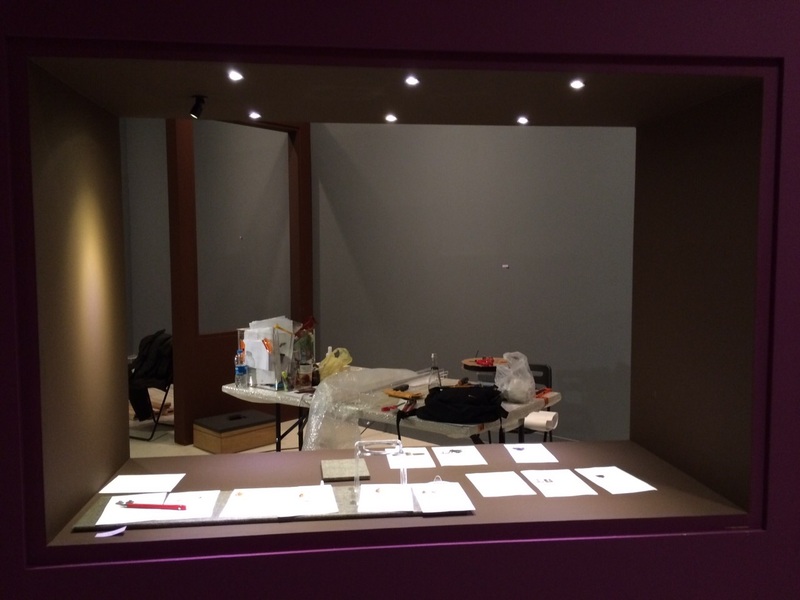 ‘All That is Solid’ installation is opened in 8 june 2015! 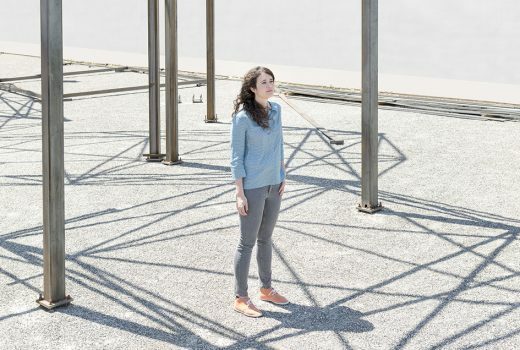 It was a great adventure to design a responsive installation regarding the history of the site and showing the ephemeral side of architecture. 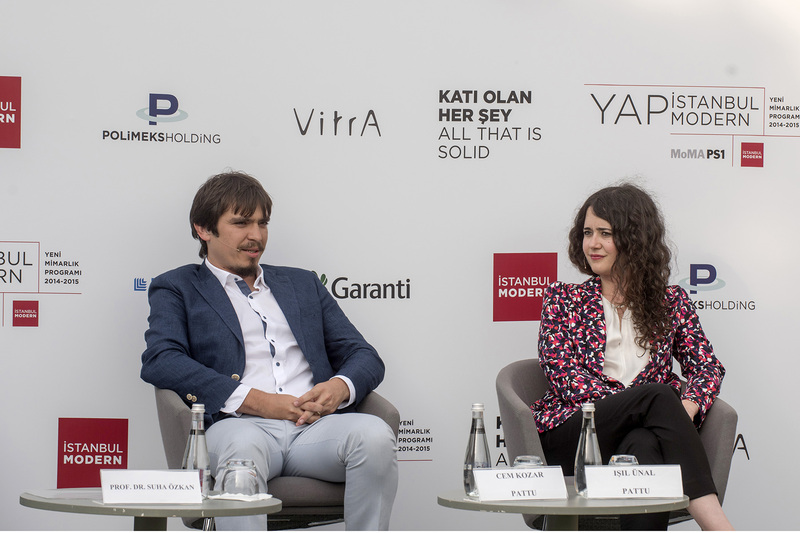 Many thanks to Metal Yapı for their great support to realise the project. 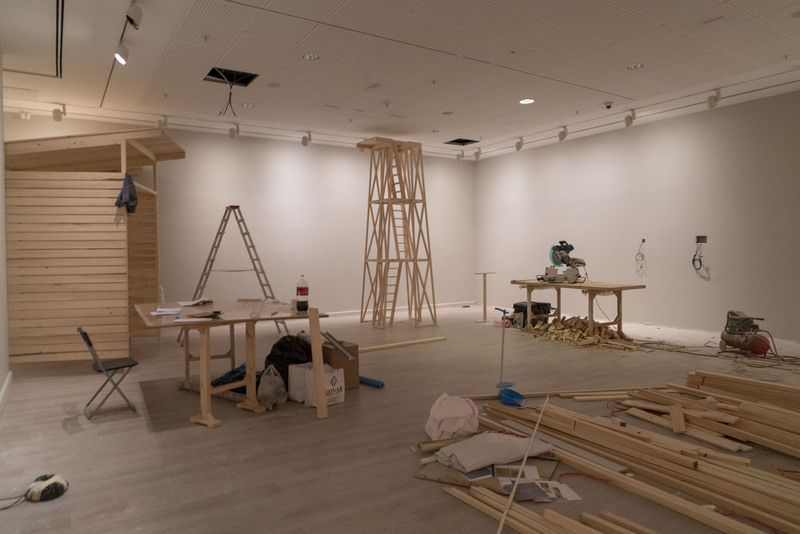 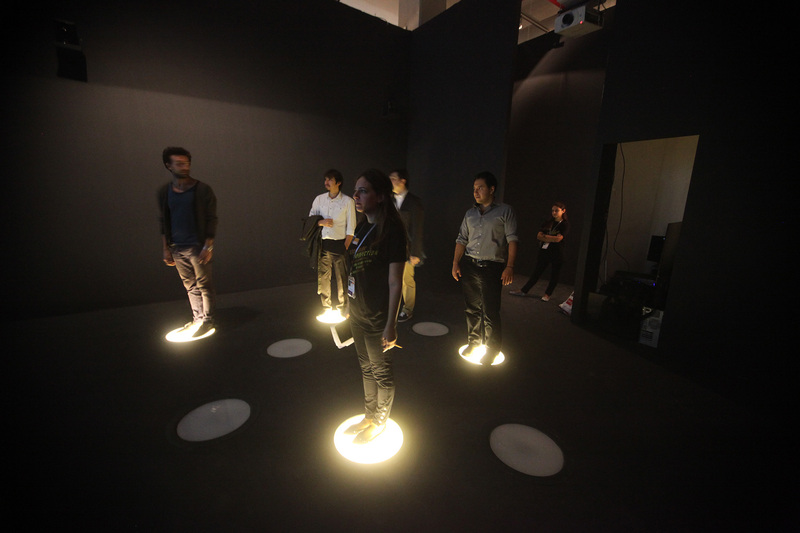 All that is Solid is the winner of YAP 2015 and exhibited in MoMA between 26 June –7 September 7 2015. 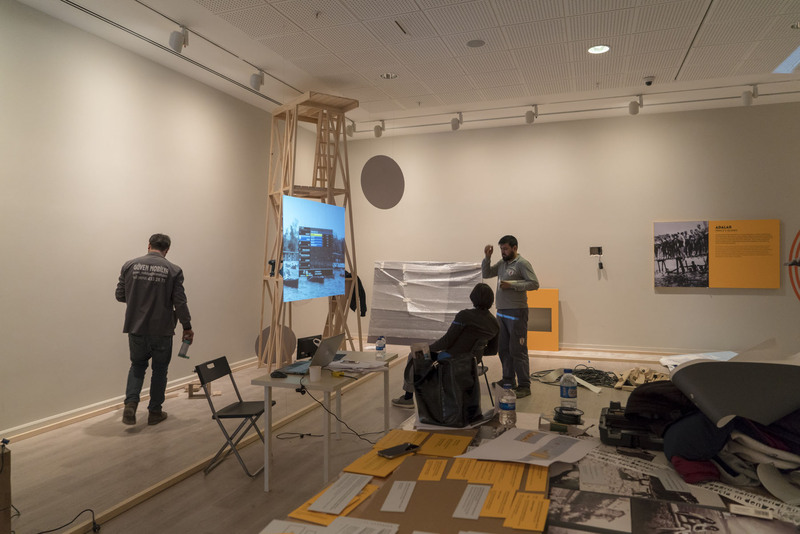 “ALL THAT IS SOLID” is a temporary site-specific installation that is inspired by the industrial history of the area, it is a reminder of the past but also a statement about the imminent change the future holds, so we can be more critical about it. 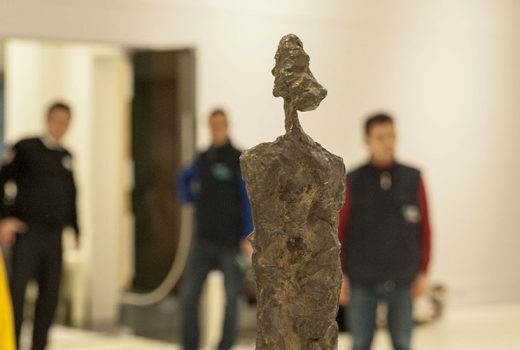 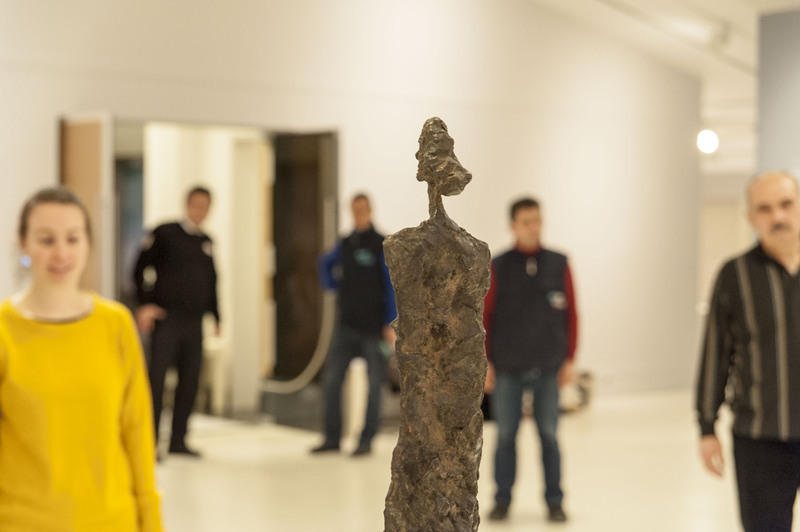 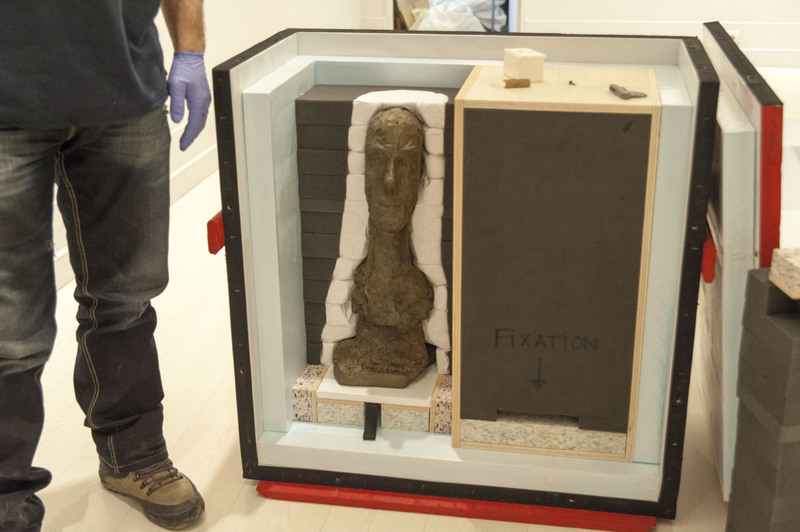 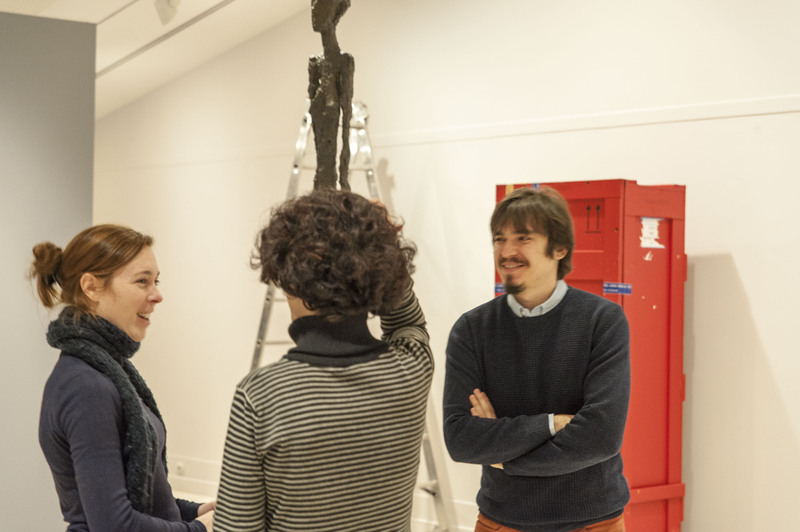 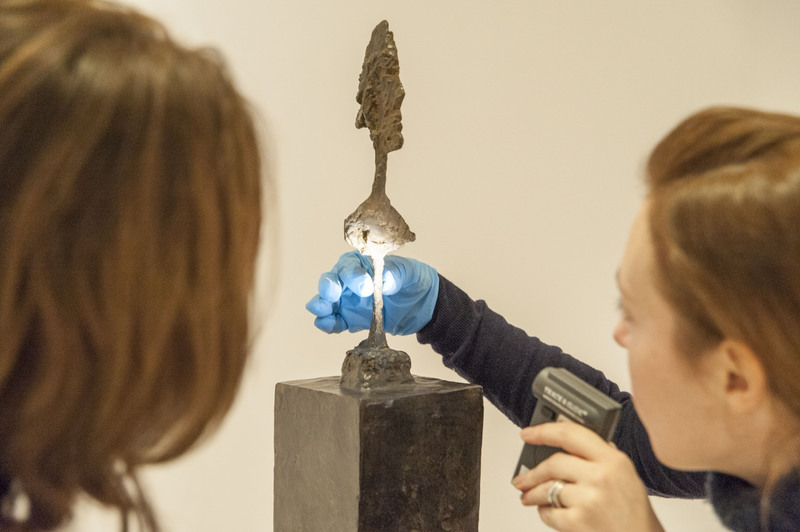 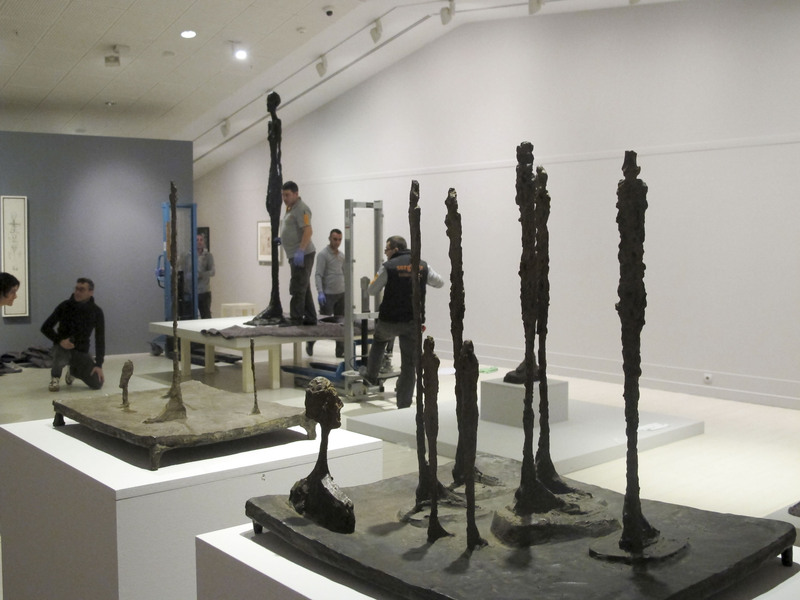 Alberto Giacometti Exhibition is at Pera Museum! 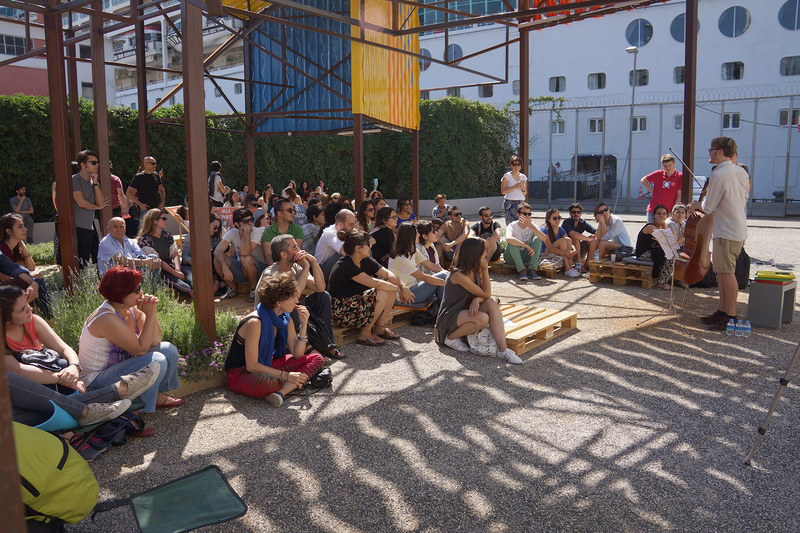 Cem was invited for a talk about future cities in ‘ARKIPARC #10kala Future Images’ conference. 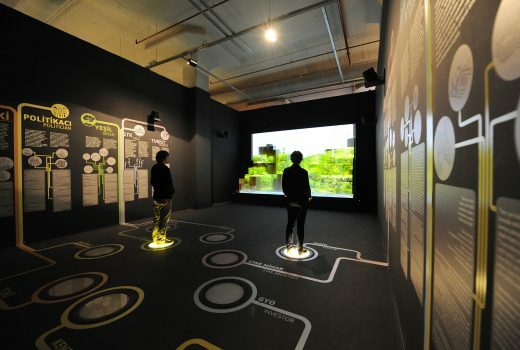 Istanbul-o-matic is an interactive installation on which visitors can experience how different actors (that shape, or should shape the city) effect an imaginary piece of Istanbul. 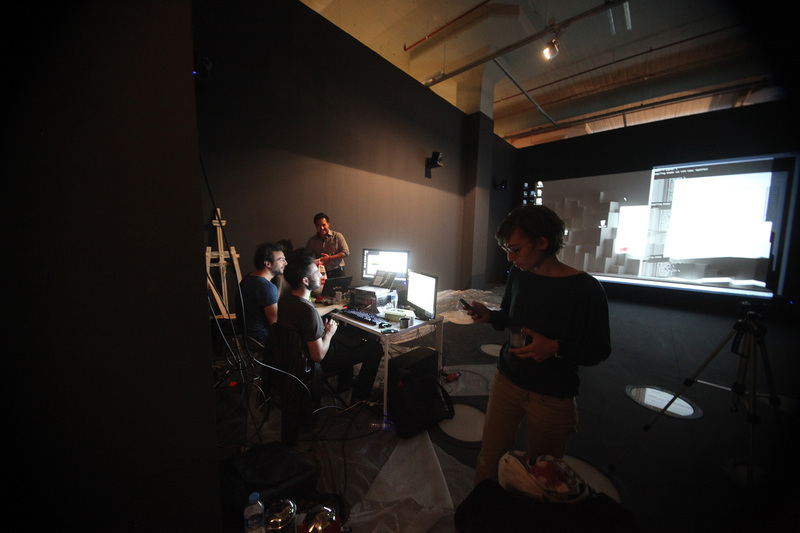 ‘Istanbul-o-matic ‘ Thanks to all teams for working with us in this crazy project! 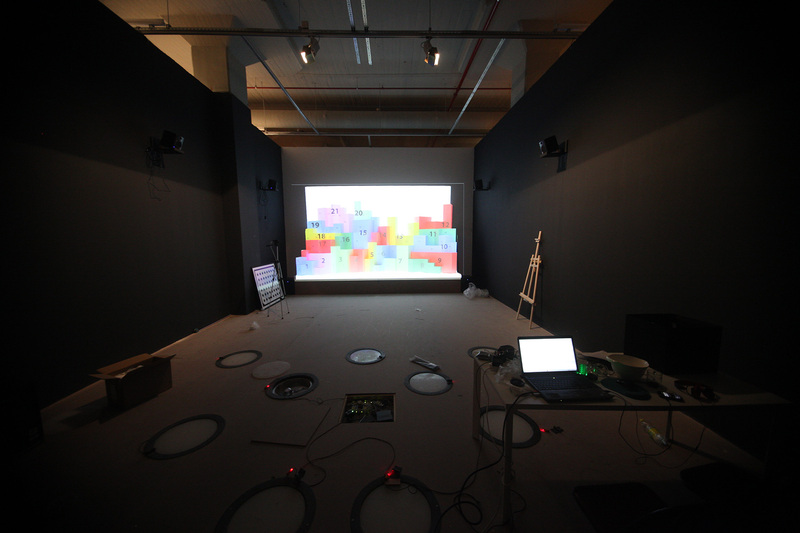 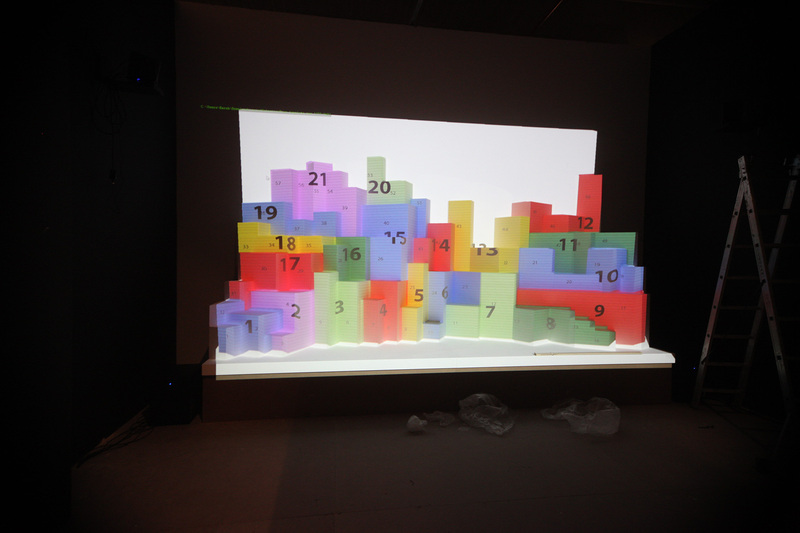 For projecting over 90.000 images and 650 sounds in synchronization and realtime on the object, a spesific code has been created to transfer over 500 MB data in one second. 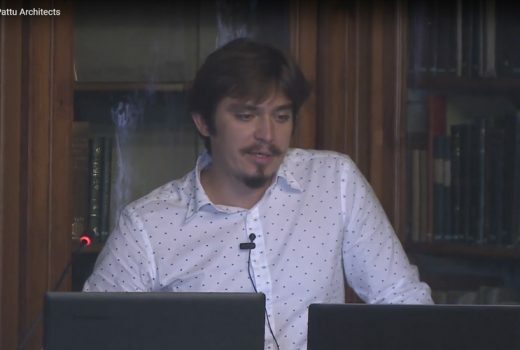 Cem talked about ‘The destructions and the city’ at SALT Beyoğlu! 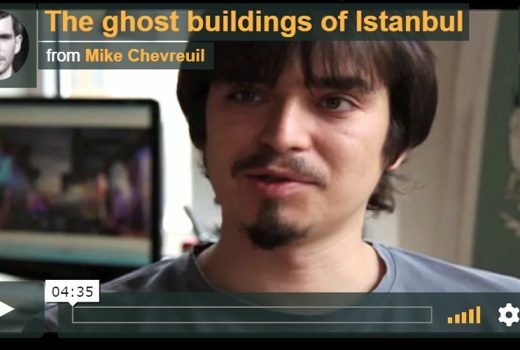 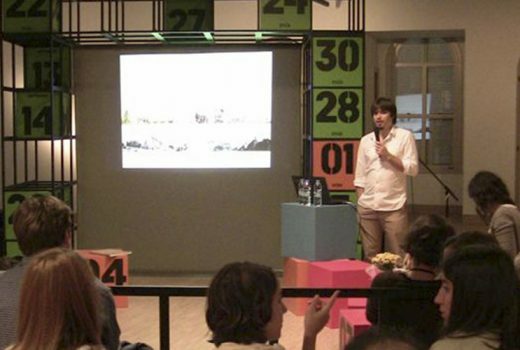 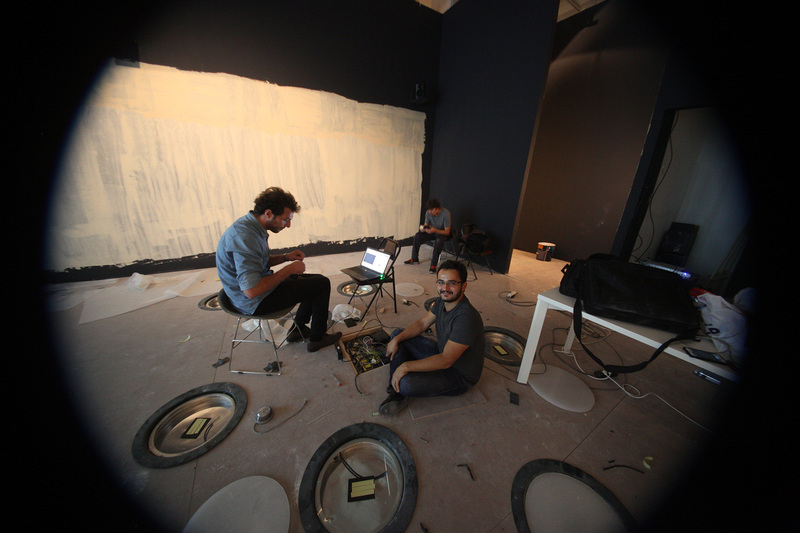 Cem was invited to talk about ‘The destructions and the city’ at SALT Beyoğlu.